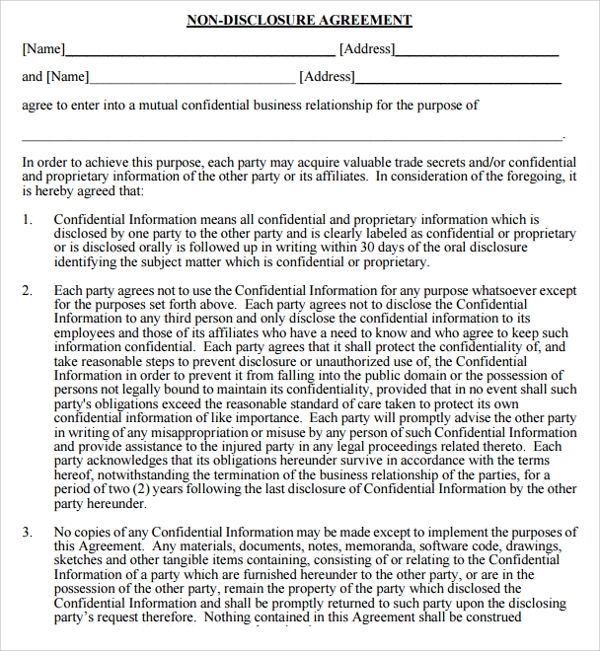 Generic Confidentiality Agreement is signed between two parties who would like to keep the type of work and the terms confidential. Generally it is signed by employees of an organization and also vendors and suppliers. Companies would not like strategic information, business plans, pricing strategies , payroll information to be leaked out as it could loose their competitive edge. Some of the information may also need to be kept a secret due to government laws and military rules. 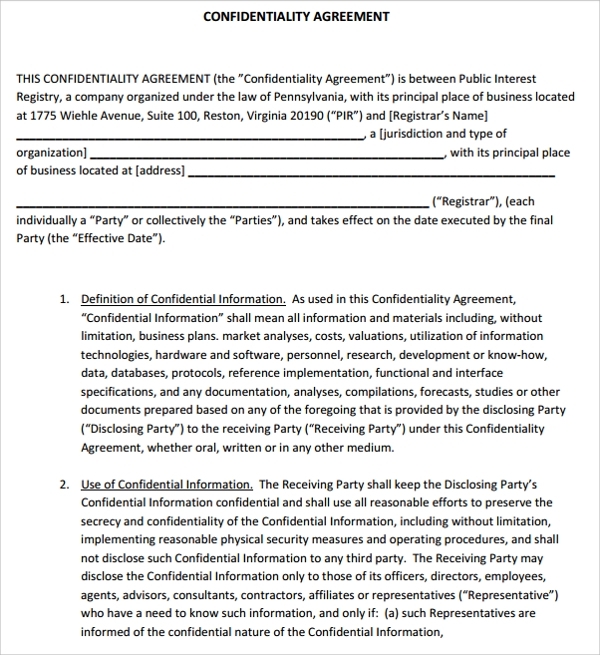 Generic Confidentiality Agreement Templates protects companies from information leak and makes them take action against the guilty. An employer would like to have a generic confidential agreement to be signed when employees join the organization. 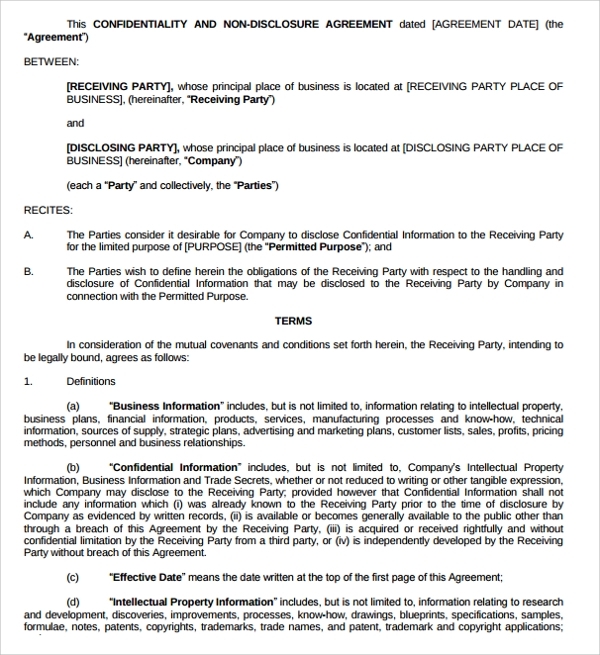 This is a generic agreement because it wont cover any specific information which should not be shared. It will mention all information which is important to the business must be shared. The free agreement is a generic agreement available so that one can use it when one wants to create an agreement and use it for ones own use. HIPAA is Health Insurance Portability and Accountability Act is a US legislation that gives guidelines to maintain data privacy and security to medical health records. If any rules are not followed the organization will face legal challenges. The confidentiality agreement is signed by the vendors of the hospital or healthcare agency. 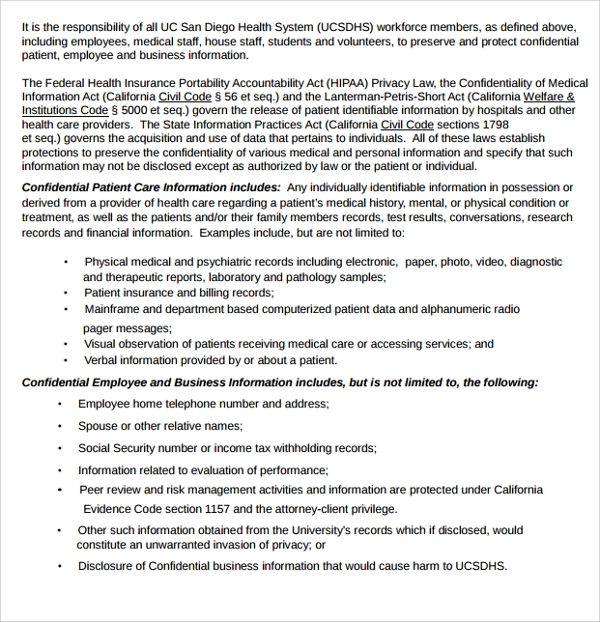 A generic HIPAA confidentiality agreement is available which will have the needed clauses which is compliant to HIPAA. It is a generic agreement and not specific organizations. 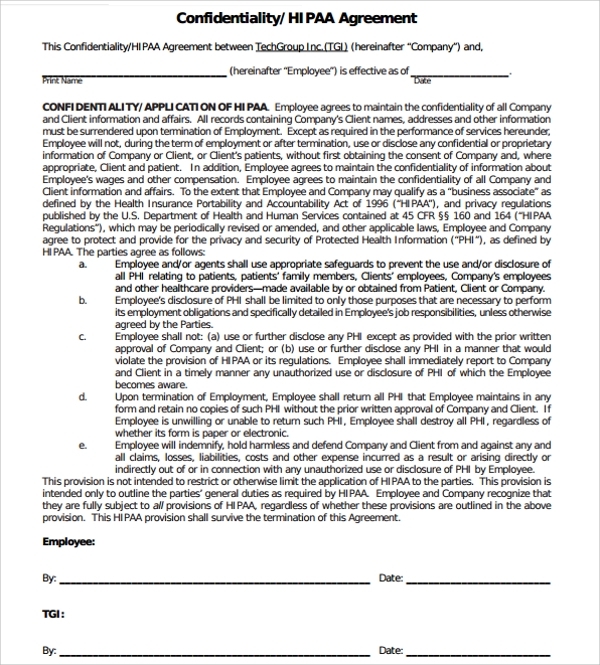 Patient Confidentiality Agreement is signed between the employees of healthcare industry and the employer to protect patients health records and any other details regarding the patient. The details of the patient is confidential and private data and need not be privy to general public. The agreement helps in informing health workers to keep it confidential. It is a legal bond between employer and employee. 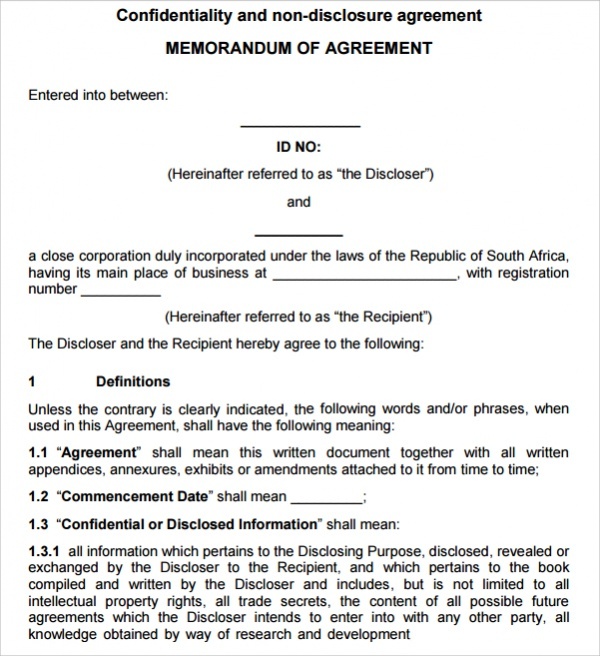 Legal Confidential agreement are signed between two parties who wish to keep the information confidential. This is also called as a Non Disclosure Agreement. This agreement is signed by suppliers, vendors and any other party who is involved with the business of an organization. It allows the two parties to work together and a trust is established between them. 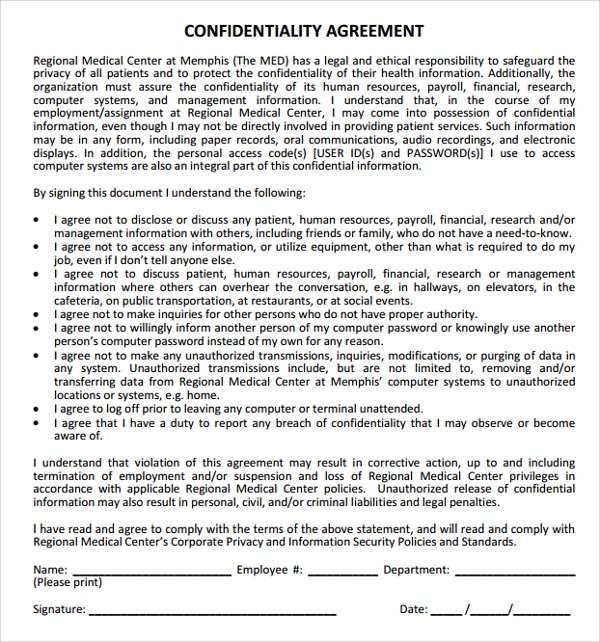 Generic Confidentiality Agreement is signed to keep information confidential. An employee in an organization is privy to information which could be strategic in nature. Information related to intellectual property, financial, customers and supplier are considered to be confidential. A leak of this information could lead to shutting the business or legal implications. A generic Standard Confidentiality Agreements is signed so that the risk of such things happening can be reduced and a person who signs this can be liable to prosecution. There are Mutual Confidentiality Agreements templates available on the web with standard formats available. One should download the same and customize the same for the use in one’s own organization. There are multiple formats available and one can download the different agreements and compare them. Once you compare you can take the best one which suits your needs and customize the same. It is advisable to whet this through a legal adviser. 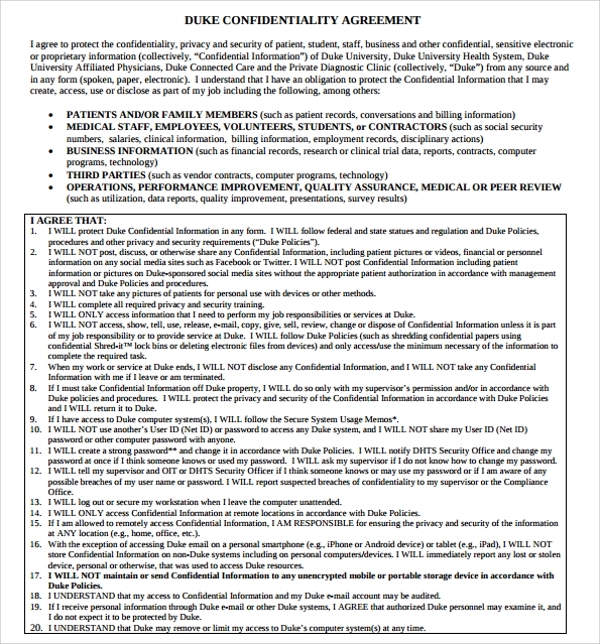 Generic Confidentiality Agreement is available with us on our website. You can download this from our website. It is available in word and pdf formats. We have a couple of these agreements and you can download that and compare it. You can take the best one you like and also customize as per the requirements. Please free to contact us for more formats of the agreement.